Every month we spend an evening scouring the pages of the latest issue of Previews and pick the ten titles we are looking forward to the most. This month it's the July issue which includes comics scheduled to ship in September 2015. Stewart R: Whilst suffering through Mark Millar's recent Chrononauts series, the element that compelled me to continue picking it up was the illustrations of Sean Murphy. 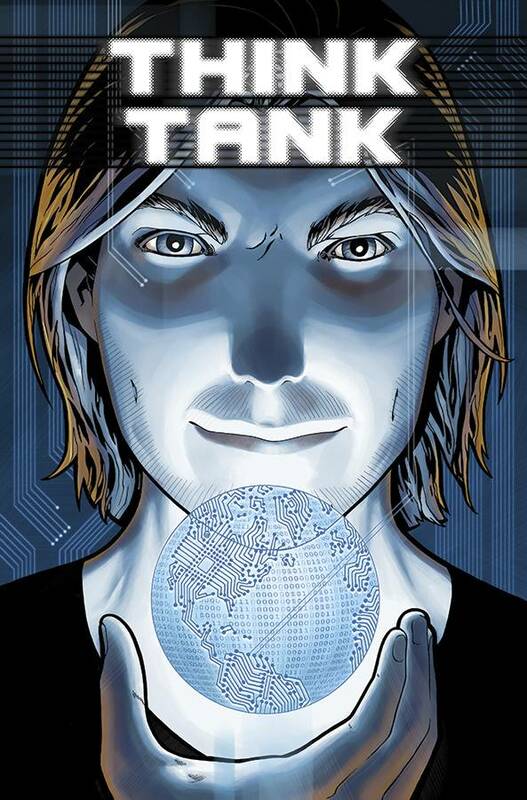 The man could put his hand to drawing an entire issue of Bendis' talking heads and I'd probably pick it up. So when Murphy's visuals get paired with a writer of astounding quality and consistency, well that surely makes a series unmissable!? With Tokyo Ghost, Rick Remender IS that writer and with the great run he's been having - see Deadly Class, Low, Black Science, Uncanny Avengers - a story about digital addiction in a toxic New Los Angeles future sounds like the perfect fit for this creative duo. 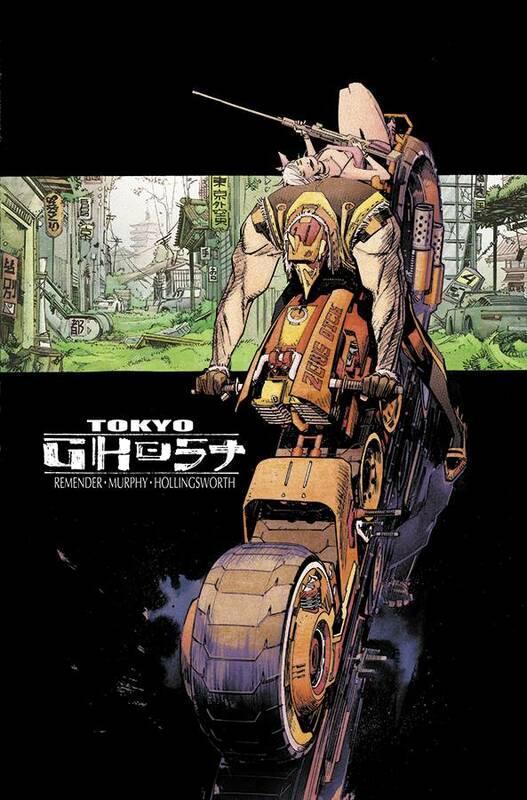 The preview art seems to have a few nods to Akira in there and with Tokyo being set as a mysterious, 'lost' Garden City in the year 2189 I'm interested to see if we get any more manga influences along the way. Matt C: You’d have to be living under a rock (somewhere in the Jundland Wastes, perhaps) not to notice how much momentum the Star Wars franchise has picked up over the last 12 months. From the excellent animated series Star Wars Rebels to the well-received return to Marvel for the comic book side of things, it’s all been leading up to the release of The Force Awakens in December. There are a bunch of novels falling under the heading ‘Journey To Star Wars: The Force Awakens’ and, unsurprisingly, a comic book or two as well. Shattered Empire deals with the immediate fallout in the Imperial hierarchy following Palpatine’s death, and knowing what a great writer Greg Rucka is, and thinking how well he’s dealing with feuding clans in Lazarus, I can’t think of a better candidate for the job. Rob N: Very rarely do we find that a highly lauded and revolutionary run on a title by one writer is followed immediately by an equally innovative and breathtaking run by the subsequent writer, but when Neil Gaiman took over the Miracleman title with issue #17 that's precisely what happened, and in places I'd argue that the Gaiman run was even better than Alan Moore's. The original concept was for Gaiman and Buckingham to produce three story cycles – 'The Golden Age', 'The Silver Age' and the 'The Dark Age' - but due to the publisher going bankrupt the series came to a premature stop two issues into the Silver Age cycle. The subsequent history from then on (re: ownership disputes for the character) is the stuff of legend and you can read all about it via a quick search on Google. The first cycle then, which I've previously read, is incredibly imaginative, exploring as it does the concept of what society would look like when a handful of Godlike super beings craft their own idea of a utopia. Whereas Moore's stories focussed directly on the 'superheroes' themselves, battling beings of similar power, Gaiman was left with a world where all the pyrotechnic battles were done and dusted and there were no more menaces left to hand. And so we have that most unusual thing in superhero comics – a peaceful world where even the threat of nuclear conflict has been taken out of humanity's hands. Each story in the Golden Age cycle explores this world through a set of different characters, with the Godlike super beings pushed well into the background. They're often there in fleeting cameos, but the emphasis is on ordinary people living in a world that abruptly changed after a superhero fight that destroyed most of London. In the first story (one of my favourites) Miracleman has erected an enormous citadel over the ruins of London that reaches up above the clouds and it is to this shrine of sorts that ordinary people make pilgrimages with the promise that if they can scale their way to the top (an ordeal that is no less daunting than scaling the North Face of the Eiger) they may be given a brief audience with one of the 'Super Gods' who may or may not grant them a single life changing wish. The denouement at the conclusion of the tale is as melancholy as anything I've read since. I should also single out Mark Buckingham for equal praise, especially since somehow he manages to adopt a different art style to suit the atmosphere of each of the individual stories in the Golden Age cycle. You could easily be forgiven for thinking that fresh art teams were employed each issue. 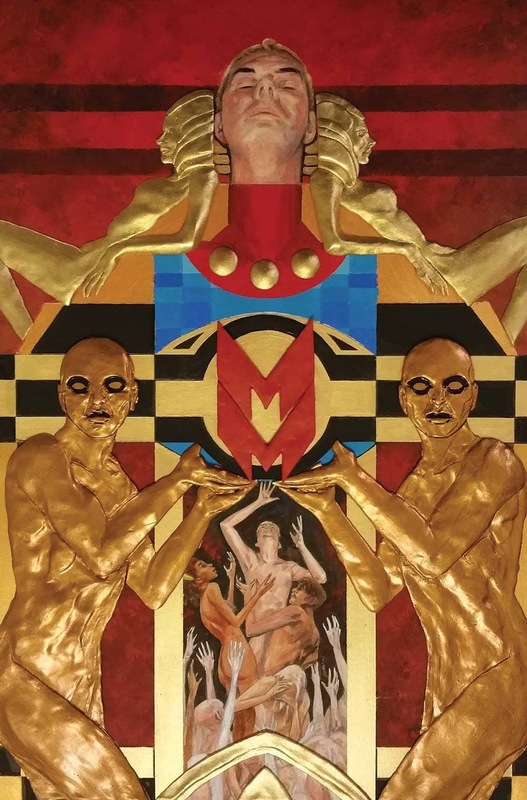 To my mind the Golden Age cycle of Miracleman is the best thing Neil Gaiman has ever written, and it stands up there with the best of Alan Moore's work. Praise really doesn't get much better than that. Stewart R: There's just something captivating and exhilarating about flight and airships. It's probably the sense of adventure that the ability to fly freely generates and when you sew that together within a fictional world of alternate technology, well good sirs and madams, you have my attention. Tyson Hesse originally started work on Diesel back in 2010 as a webcomic, but has now retooled and redrawn his story for a BOOM! Box printed release in the shape of this 4-part miniseries. We'll follow young Dee Diesel as her father's legacy is stolen from her by a childhood rival and a fortunate turn in luck throws her into a high-flying adventure where she'll not only aim to regain what was lost, but discover a little about herself along the way. The artwork certainly looks big and bold, and in a month where it seems that comic books will be painting us many a new wondrous and mysterious horizon, this stands out from the crowd for me. Simon M: I've always had a deep interest/fascination with military history through the ages, so will generally give any comic that incorporates this genre a go. There are a few really good ones out at the moment including Brian Wood's Rebels and Garth Ennis's War Stories. The next one to step up and pique my interest is Tet by Paul Allor and Paul Tucker. The story follows Eugene Smith as he is getting ready to conclude his tour of duty and return Stateside with the woman he loves. Unfortunately fate intercedes and a fellow marine is brutally murdered, causing Smith to change his plans. 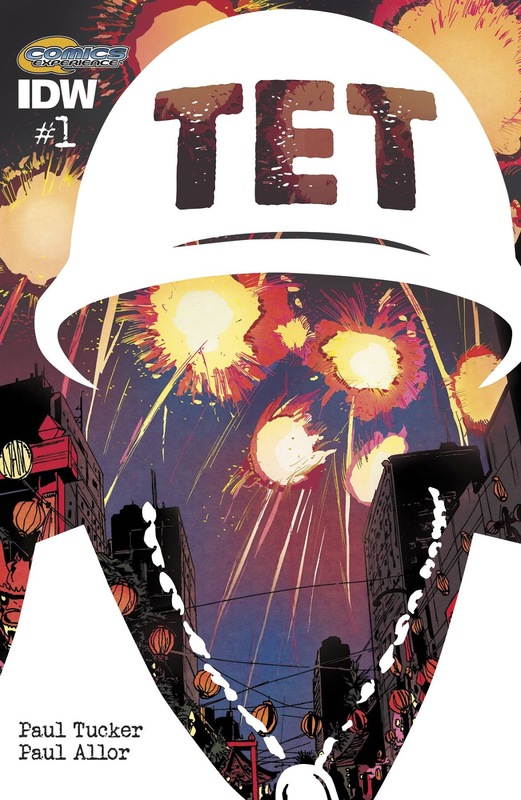 Tet is being pitched as a crime/star-crossed lovers story set during the Vietnam War, with the impact of the events being felt for decades. Allor's script went through the Comics Experience Creator’s Workshop, where he said he received very useful feedback that helped strengthen the story. I've not seen much from the creators, but the few preview pages that are around look great. James R: D4VE is a web-series that made the leap into print with ease. IDW rightfully recognised the greatness of Ryan Ferrier and Valentin Ramon's Monkeybrain series wherein the robot uprising has happened, extinguished mankind, but pretty much taken up all our bad habits... and then have to deal with an alien invasion too! So I am thrilled to see that we're getting a return to the world of D4VE with the story picking up one year after the events of the first series. The blurb promises that the arrival of a strange ship will plunge D4VE "into an existential crisis", and I love it when our robotic hero is particularly suffering, so I look forward to this one like a rusty hinge does a blast of WD-40! James R: Not a dream! Not a hoax! etc, etc! Wow - it's really happening. 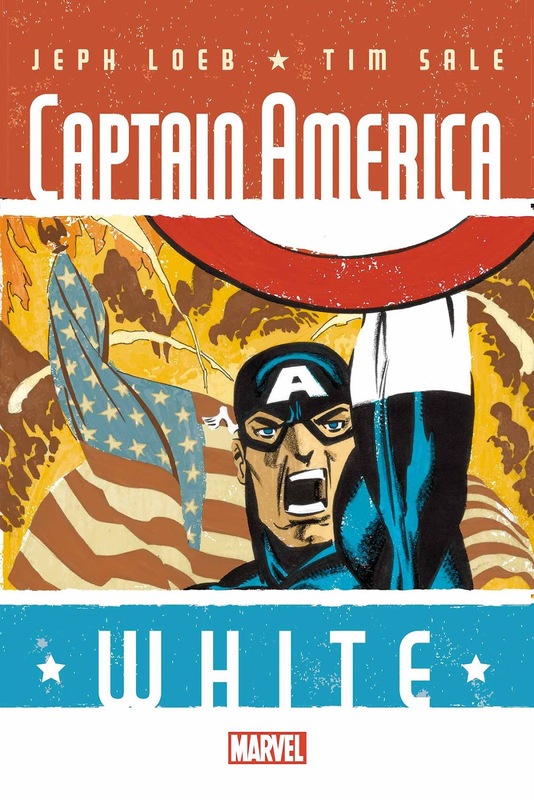 After a seven - that's SEVEN - year hiatus, Jeph Loeb and Tim Sale are finally going to complete Captain America: White. If you've never picked up any of their 'Colours' miniseries before (Hulk: Grey, Daredevil: Yellow, and Spider-Man: Blue) you really should - they're love-letters to these iconic characters whilst still being interesting takes in their own right. The preview art for this is as beautiful as you would expect from Sale, and it's brilliant that we can tick this one off the 'Missing in Action' list. The arrival of this book is certainly 2015's most pleasant surprise for me. Stewart R: With the recent boom for zero-gravity adventure at the cinema with Gravity, Interstellar and the upcoming The Martian (Maaat Daamon - damn you Stone and Parker! ), and a similar rise in the comic book world with the likes of Letter 44, Southern Cross and Fuse, I'm certainly in the mindset to read more fiction in this wheelhouse. Faster Than Light will explore mankind's first steps into deep-space travel with an apparent gritty feel to things, but while there may be a pioneer spirit to the endeavour, a looming disaster and alien technology may have opened this window of opportunity and what might that mean for us all? Matt C: A welcome return for this ferociously smart, witty, bleeding-edge science thriller where the genius protagonist wakes up to the realisation that all those things he’s cooking up in a top secret room are being used to kill people across the world and decides to make some changes. And this time it’s in COLOUR! (Or, in COLOR! if you prefer). Hawkins and Ekedal’s series has been a criminally overlooked gem since it first debuted three years ago so hopefully this relaunch will stick it on a lot more peoples’ maps. James R: The fact that this is a new series from one of my favourite creators, the unique Jeff Lemire (alongside co-creator Emi Lenox), is reason alone for me to be interested here, but it's also a fantastic premise. Plutona focuses on a group of five young friends who make a shocking discovery in the woods. Rather than a stack of discarded jazz mags, as it was when I was a youth, the kids discover the body of their world's most famous superhero. Lemire suggests that it "Explores the nature of friendship and the nature of good and evil, all through the eyes of five children alone in the woods." Throughout his career - from Essex County, through Sweet Tooth and The Underwater Welder - Lemire has shown an incredible knack for writing compelling young characters. I have no doubt he'll continue to do so with Plutona.